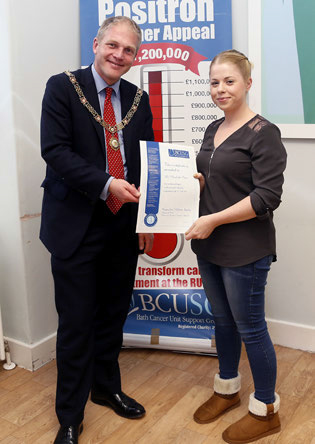 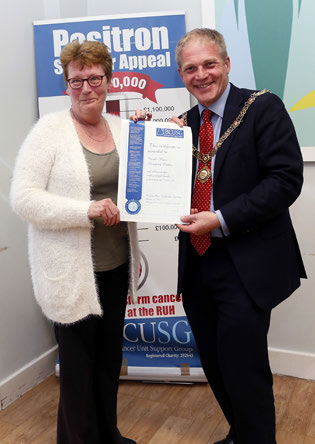 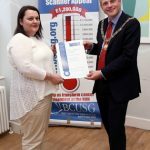 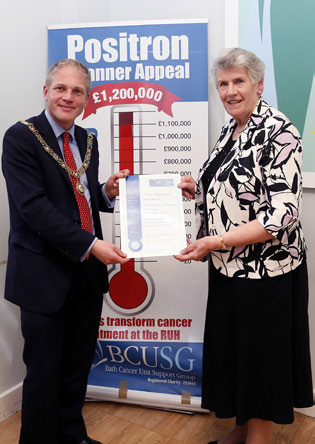 On Wednesday 11th May the remarkable achievements of those Supporters who had raised £1,000 or more during the past year were celebrated at a reception which was held at the RUH. 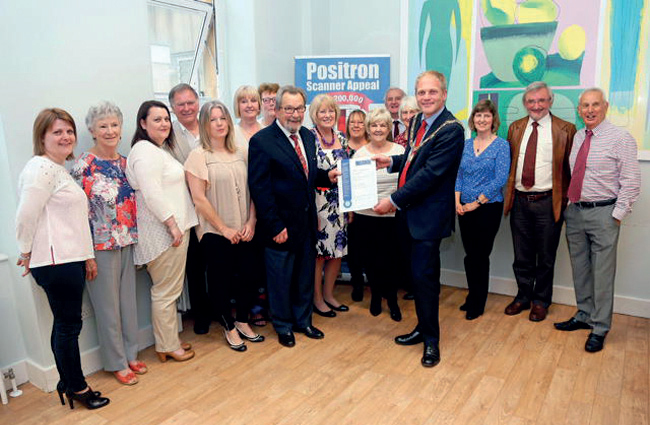 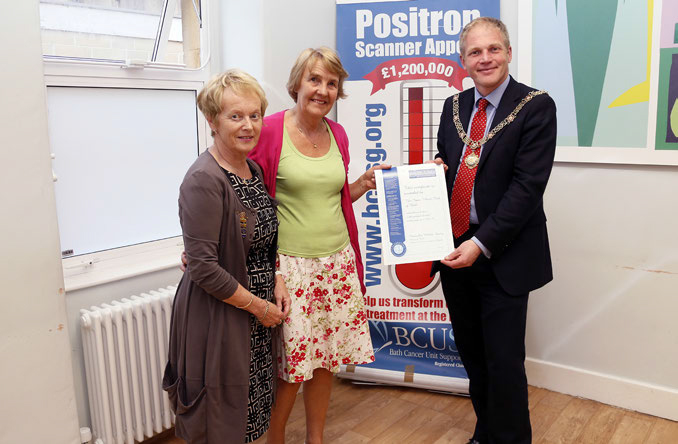 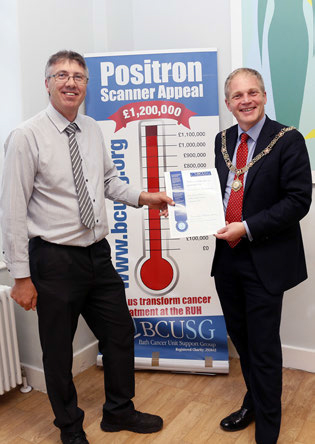 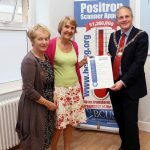 Supporters had the opportunity to see for themselves the new Positron Scanner which had recently been delivered. 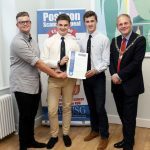 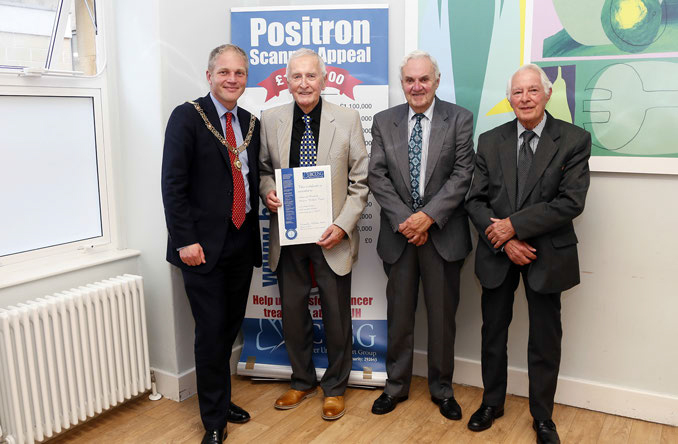 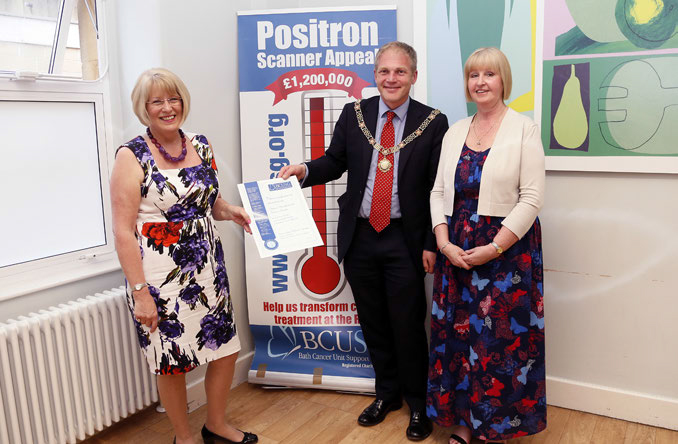 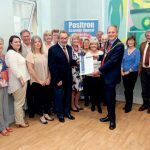 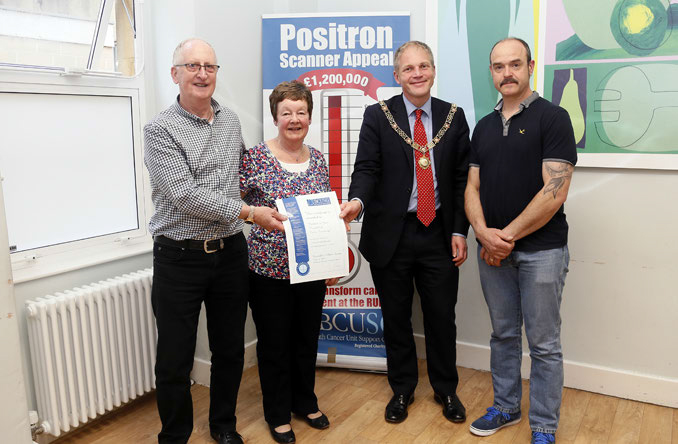 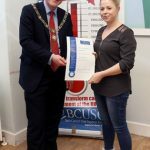 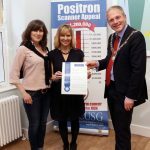 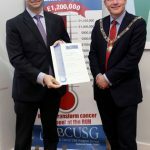 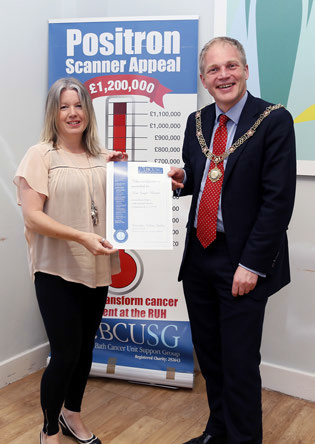 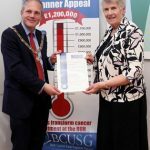 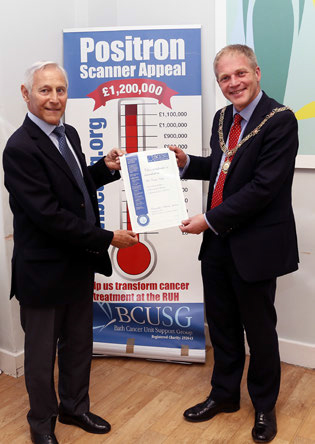 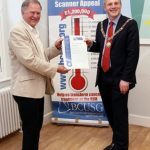 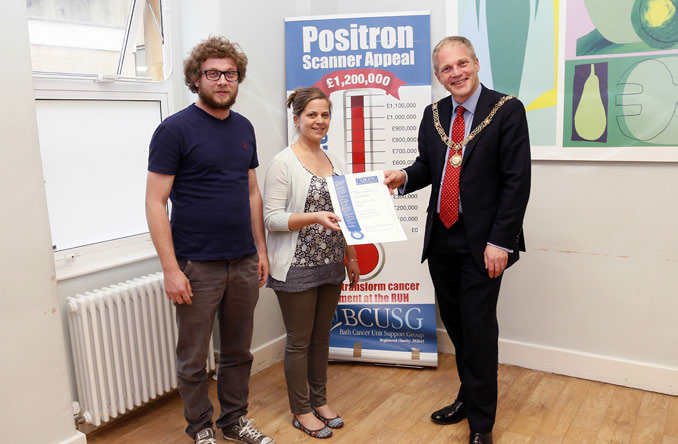 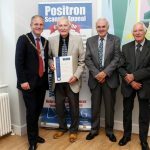 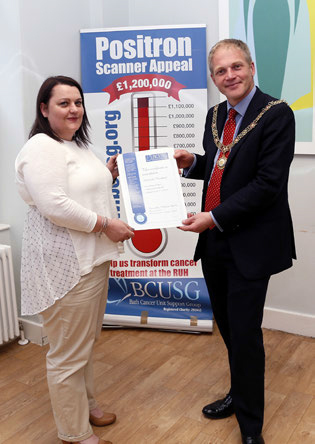 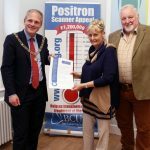 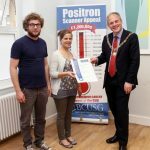 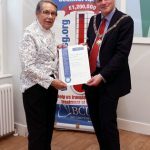 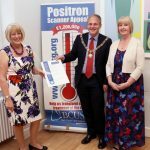 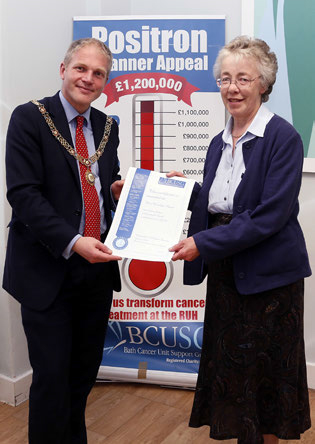 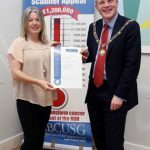 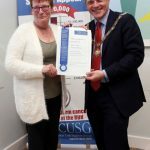 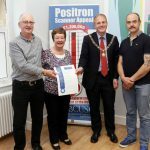 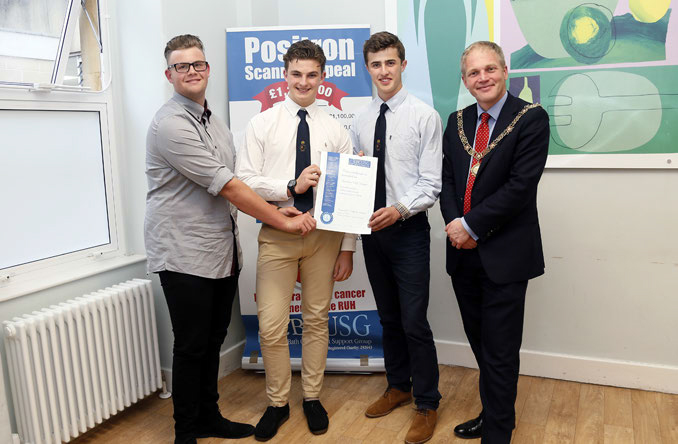 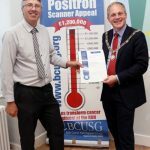 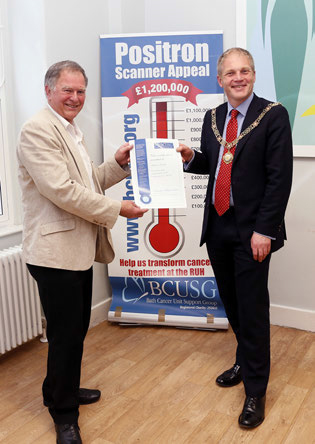 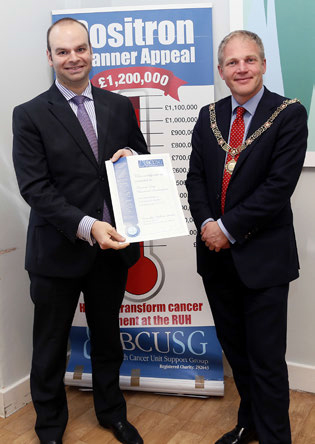 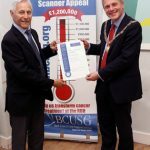 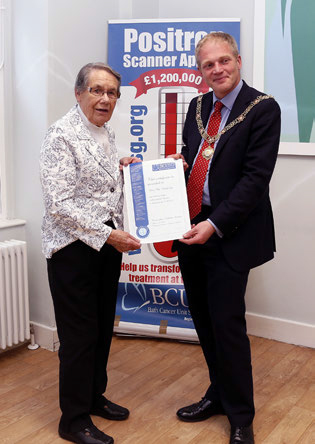 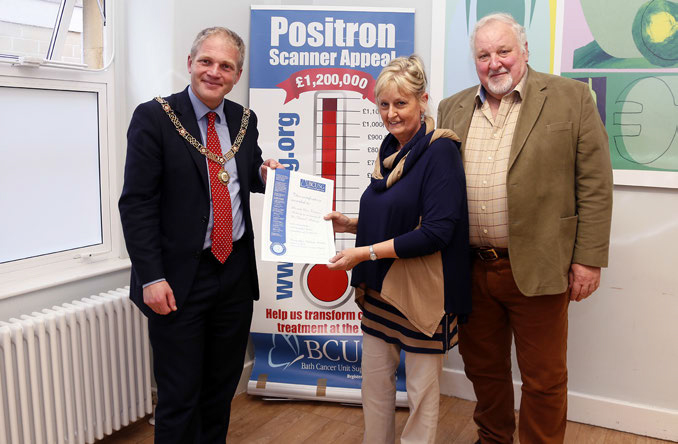 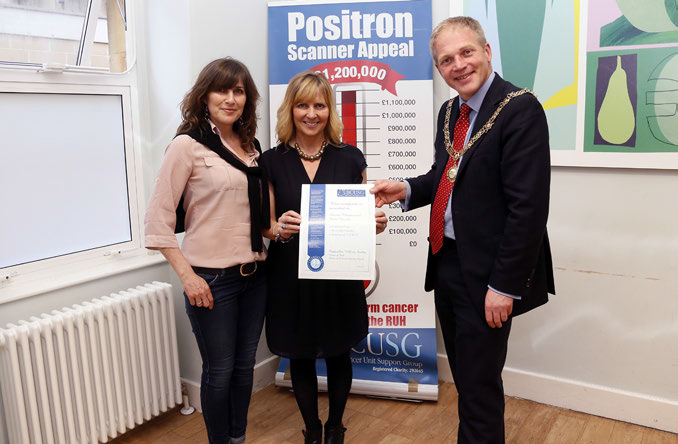 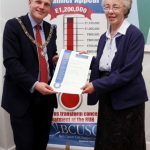 The following photos are of BCUSG Supporters receiving their Certificates from The Mayor of Bath and former Patron of the Positron Scanner Appeal Councillor William Sandry.